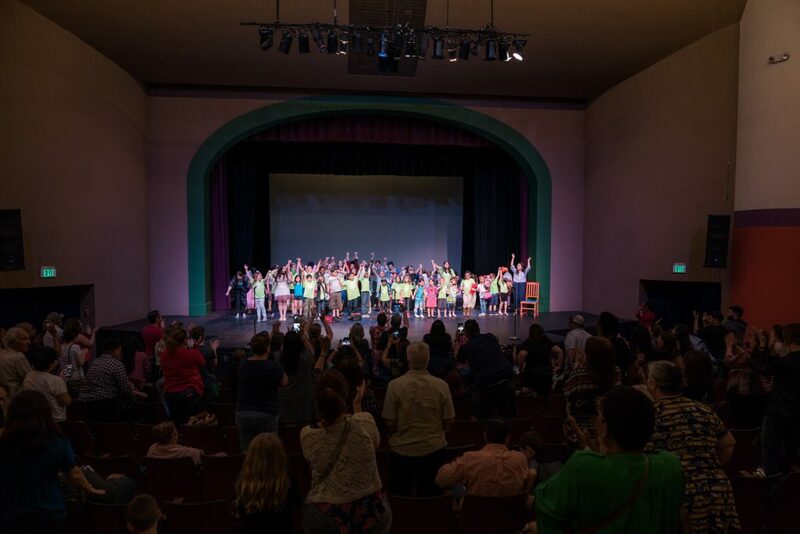 The Magik Theatre offers a variety of programming to meet the arts education needs of San Antonio-area youth, including weekend and after-school classes, holiday and summer camps, and workshops for kids and adults. Classes are taught by professional, experienced Teaching Artists and provide a culminated sharing for families to attend. All classes will be held at the Magik Performing Arts Center located at 5359 Casa Bella, San Antonio, TX 78249. Academy classes will culminate in a sharing of work at our Northside Magik Performing Arts Center. The sharing or showcase form is dependent on the type of work and age of student. Click the button below to register. If you would like to register over the phone please call us at 210.227.2751. Please note, the class amount includes a $50 non-refundable administrative fee. We’ve switched to a new registration site in the last year. Since we know that new registration processes can be a challenge, we are happy to provide step-by-step instructions. Parents, please download these registration instructions to aid you in registering your child. Still not sure you want to register? 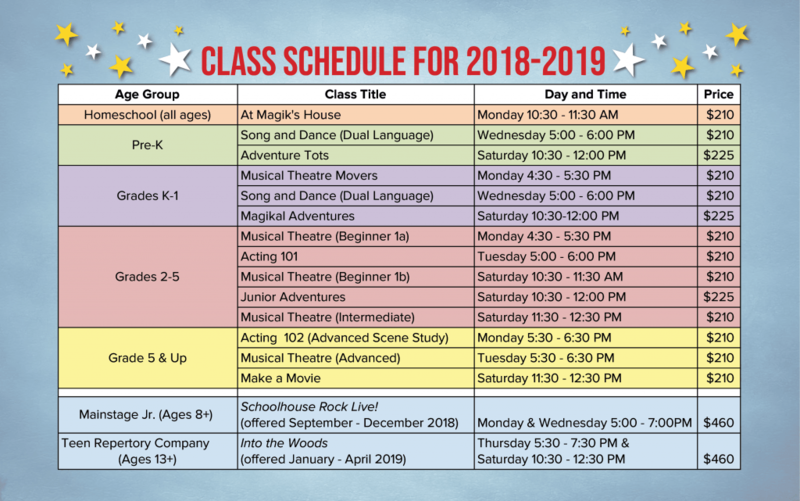 If the student is new to the Magik Performing Arts Center, he/she may try a class through the 2nd week of instruction, should the class have availability. If the student elects to continue with the course, the prorated tuition must be paid in full before the next instructional day. If the class is a production lab (i.e Mainstage Junior/Teen Rep), late enrollment will be handled on a case-by-case basis and requires permission from the Director of Education and production’s Director. After the 3-week period, new students may request to observe a class and register for the following trimester. Late enrollment requests will be handled on a case-by-case basis. To reserve a Try-A-Class time, please email education@magiktheatre.org with the following information: Guardian Name, Phone Number, Email, Child Name, Age, and Class Title. Incomplete requests will result in delay of reservation. When: Mondays 10:30 a.m.-11:30 a.m.
Imaginations engage in this class where students work together to create an original play made entirely from their ideas. With some guidance from one of our teaching artists, this class will explore new acting techniques, the play writing process, and perform their final work for an audience of family and friends. When: Wednesday 4:30 p.m.- 5:30 p.m.
Five, six, seven, eight! These budding performers will learn the FUN-damentals of musical theatre in a comfortable, supportive environment. Students will explore movement and music while building on rhythm and vocal skills. Our in-class sharing will provide a look into the skills students have learned. When: Saturday 10:30 a.m. – 12:00 p.m.
Whose ready to take a look into the world inside our minds and learn about our emotions! Imaginations engage in this class where students go on wild adventures meeting characters from books, learning basic acting skills, and exploring exciting ways to problem-solve! Our in-class sharing will provide a look into the class’ creative process. When: Monday 4:30 p.m. – 5:30 p.m.
Five, six, seven, eight! These rising stars will learn the FUN-damentals of musical theatre in a comfortable, supportive environment. Students will learn easy dances inspired from their favorite songs while building on rhythm and vocal skills to be showcased for an audience of family and friends. When: Saturday 10:30 a.m. -12:00 p.m.
Imaginations engage in this class where students work together to create an original play made entirely from their ideas. 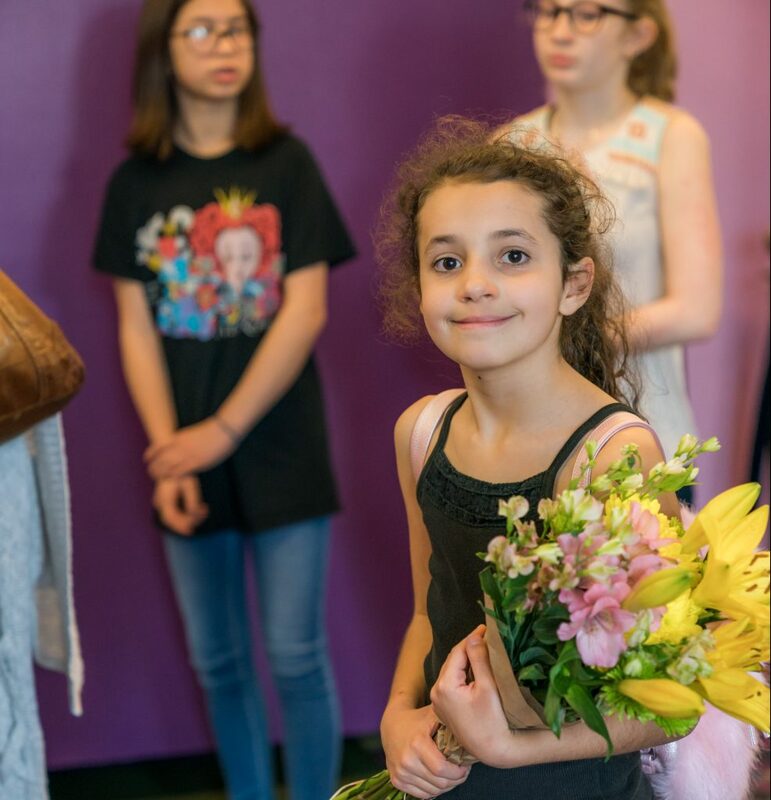 With some guidance from one of our teaching artists, this class will learn a foundation of acting techniques, the play writing process, and perform their final work for an audience of family and friends. When: Wednesday 5 p.m. – 6 p.m. This class is a dual language class and will be instructed in both Spanish and English. Students do NOT need to be fluent in either language, but must attend class with a positive attitude to explore a new language and culture. 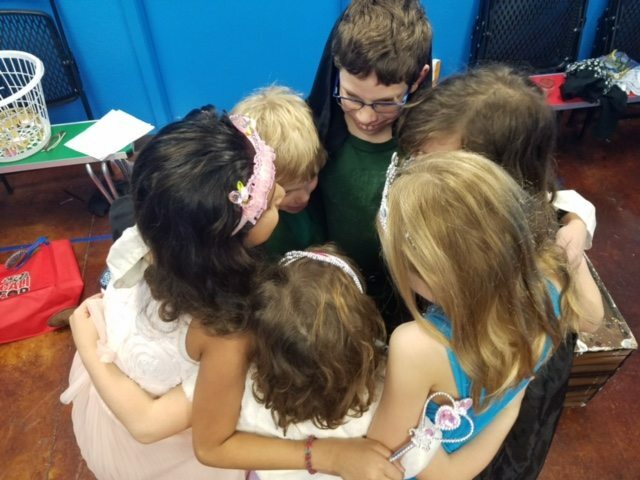 Imaginations engage in this class where students work together to create an original play made entirely from their ideas. 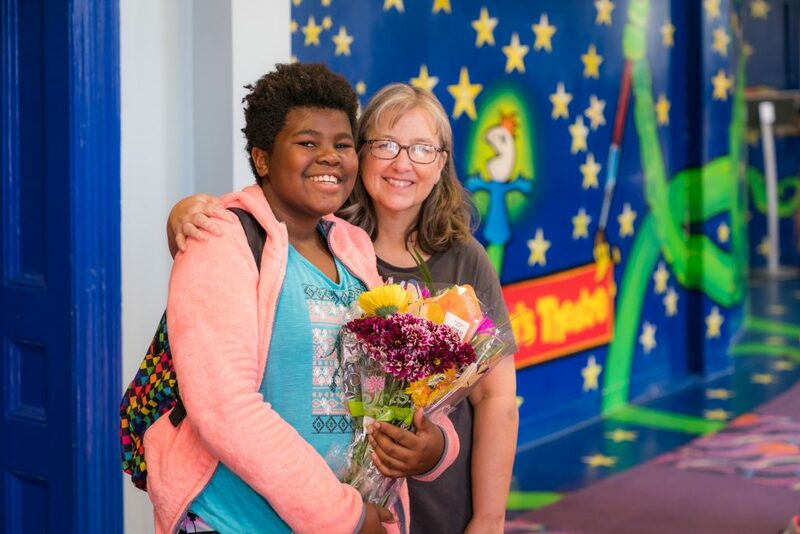 With some guidance from one of our teaching artists, this class will learn a foundation of acting techniques, the play writing process, and perform their final work for an audience of family and friends. Five, six, seven, eight! This Musical Theatre class is great for beginners to try their hand at singing and dancing in a creative, supportive environment. 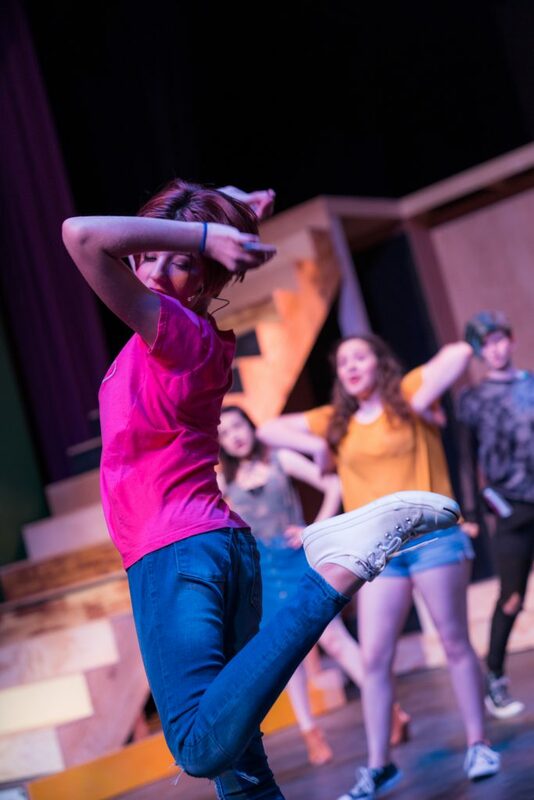 This class is designed to develop comprehensive musical theatre skills including dance, partnering, acting, character development, and choral singing to be showcased for an audience of family and friends. When: Saturday 10:30 a.m. – 11:30 a.m. When: Saturday 11:30 a.m. – 12:30 p.m.
Five, six, seven, eight! This Musical Theatre class builds upon the foundation of musical theatre skills learned at the beginner level. Students will learn intermediate dance numbers while developing comprehensive musical theatre skills to be showcased for an audience of family and friends. When: Tuesday 5 p.m. – 6 p.m.
All the world is a stage! This class will develop students’ acting skills by exploring popular children’s theatre scripts. Students will be introduced to beginner acting techniques, learn basic script analysis skills, and explore monologues and partner scenes to be showcased for an audience of family and friends. This class has been cancelled for the Winter session. Please enroll in the Spring session. When: Tuesday 5:30 – 6:30 p.m.
Five, six, seven, eight! 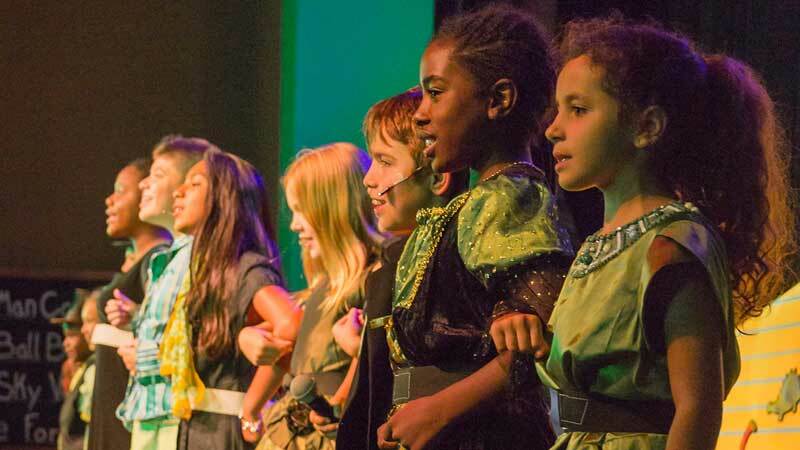 This Musical Theatre class builds upon the foundation of musical theatre skills learned at the intermediate level. Students will learn advance numbers while developing comprehensive singing and dance skills to be showcased for an audience of family and friends. Students may explore fundamentals from: Jazz, Tap, Ballet, Modern, and other movement forms to achieve final showcase, however previous knowledge of these dance styles is not required. When: Monday 5:30 p.m. – 6:30 p.m.
All the world is a stage! This class will develop students’ acting skills by using pieces written by some of the greatest playwrights in Theatre’s history. Students will be introduced to advanced acting techniques, in-depth script analysis skills, and will study monologues and partner scenes to be showcased for an audience of family and friends. Magik’s Make a Movie class will dive into the world of film making! Students will learn the art of screen writing, acting for the camera and directing skills. The students will have an awesome opportunity to write, direct and star in their very own movie! The film will be premiered at their showcase for parents and guests! 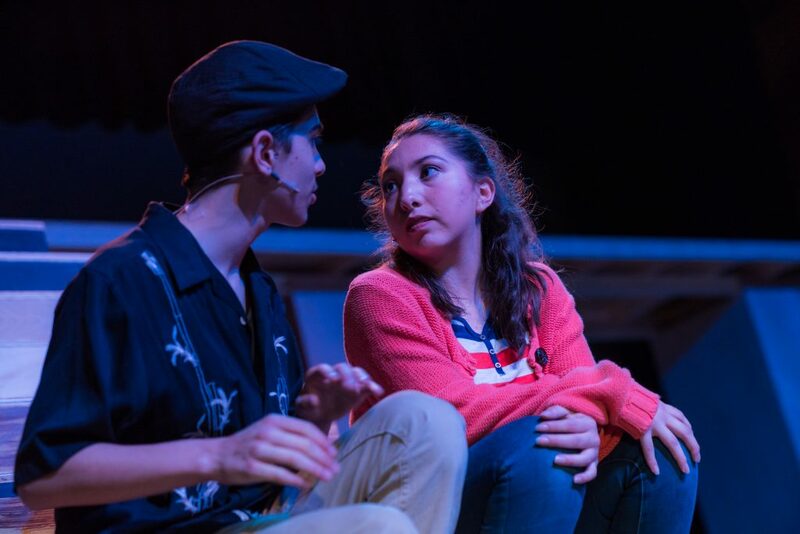 When: Monday and Wednesday 5 p.m. – 7 p.m.
Mainstage Jr. students will work cooperatively to create a repertory company that produce a play for public performance on the Magik stage. Students will learn the audition and rehearsal process, while exploring intermediate acting techniques. The Fall 2018 production is Schoolhouse Rock Live! JR. 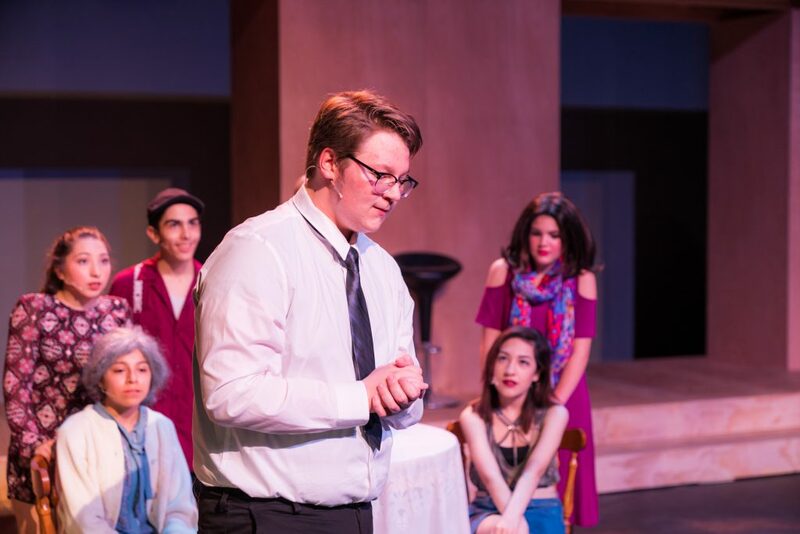 This energetic musical follows Tom, a young schoolteacher, who is nervous about his first day of teaching. He tries to relax by watching TV, when various characters representing facets of his personality emerge from the set and show him how to win his students over with imagination and music. Memorable songs as “Just a Bill,” “Lolly, Lolly, Lolly” and “Conjunction Junction” bring his lesson plans vividly to life. Performances will be on Magik’s main stage downtown in Hemisfair on December 7 and 8, 2018. When: Thursday 5:30 p.m. – 7:30 p.m. AND Saturday 10:30 a.m. – 12:30 p.m. Teen Rep students will work cooperatively to create a repertory company that produce a play for public performance on the Magik stage. Students will learn the audition and rehearsal process, while exploring intermediate acting techniques. 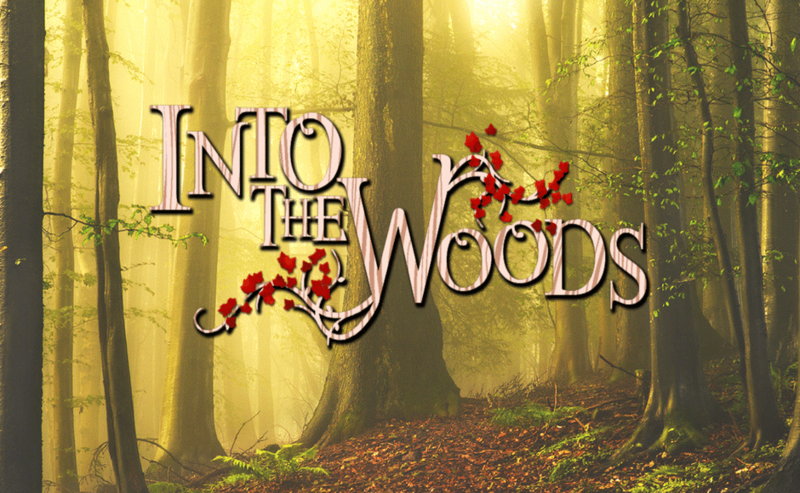 The Fall 2018 production will be Into the Woods JR. Performances will be on Magik’s main stage downtown in Hemisfair on April 5 and 6, 2019. 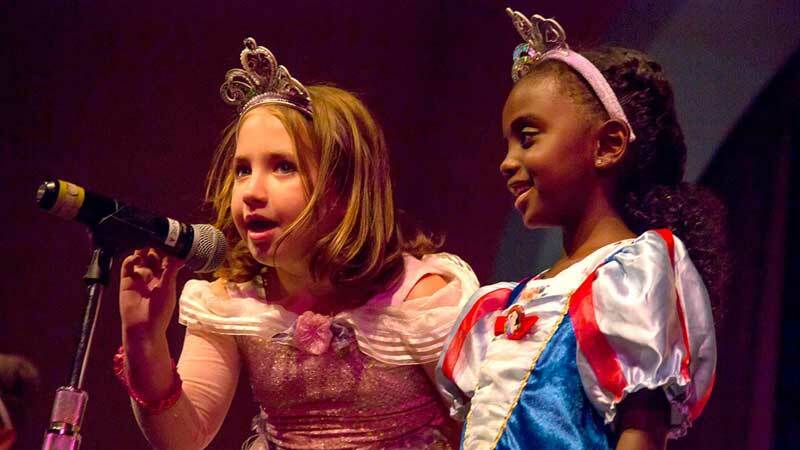 The Magik Theatre offers private or small group lessons in various types of arts education including voice, acting, piano, flute, and musical theatre. Please contact us for more information – education@magiktheatre.org. Teen Rep Production: Into the Woods JR.